Usain Bolt isn’t the only super quick Jamaican on the planet as Winston Watts will tell anyone who’ll listen. He’s not someone who’s too shy and retiring as you might imagine from his words: “Man, you should see me! Age is just a number. You’d never believe I was a man of 46.” Jamaica is coming back to the winter games for the Sochi 2014 Winter Olympics. Their return after 12 years away should be celebrated if only because Watts is such a likeable man. He’s replicating the joy created by the original Cool Runnings crew from 1988 who made headlines in the Calgary games which led to a Disney movie inspired by their exploits. Watts is calling this generation “Cool Runnings the Second generation” but no one from the Jamaica Olympic Association is repeating that name because they’re not backing this effort. 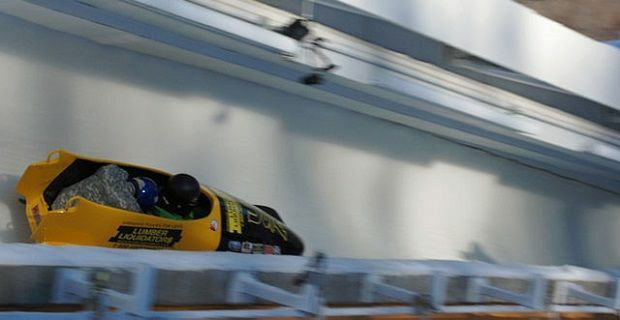 The original Cool Runnings crew were backed by a rich American businessman while Watts’s efforts are more to do with hard work and determination that funding and support. He’s even had to put his hands in his pockets to pay the airfare for himself and his teammates. “I just about get by financially. Beg, scrape, it’s hard. I’ve got headaches a lot of times man, believe you me,” he said sighing. “Sometimes my coach says ‘just focus’ and I say ‘how?’ I just trust things will turn over ok.” Unfortunately the funding issue could get in the way of this new fairy-tale story as Watts explained: “In truth, we still don’t really know at the moment if we’d even have enough funds or sponsorship to fly to Sochi itself for the Games itself. It all depends. Our families need to be taken care of first. If there’s no funding, who knows?” he admitted.